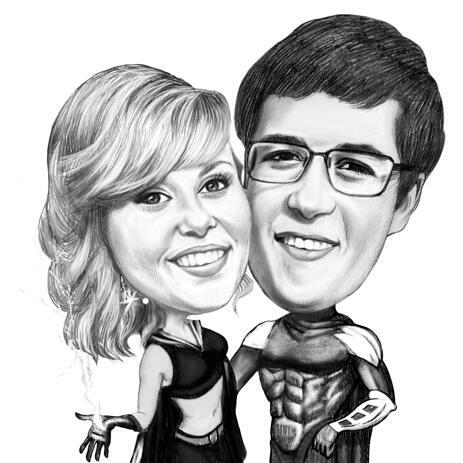 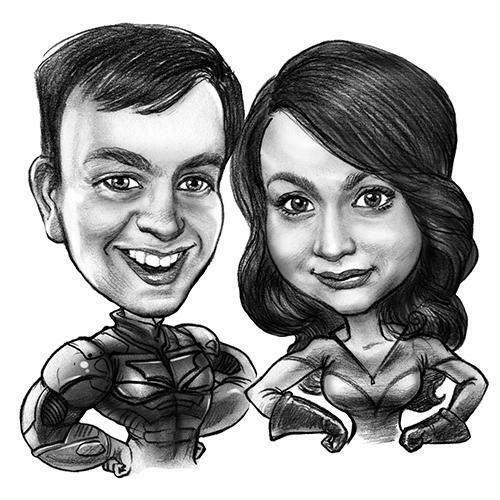 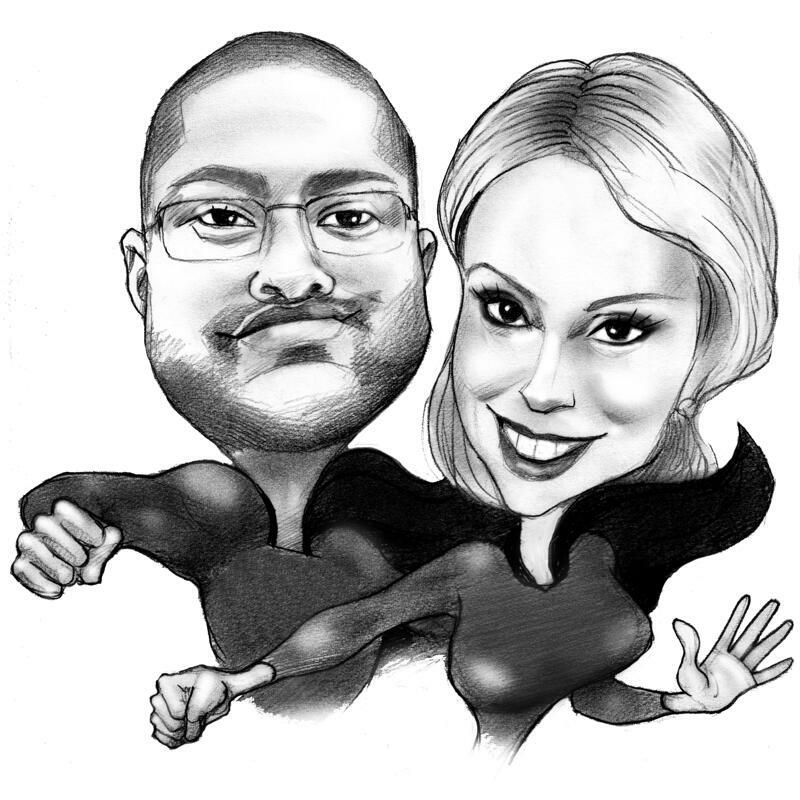 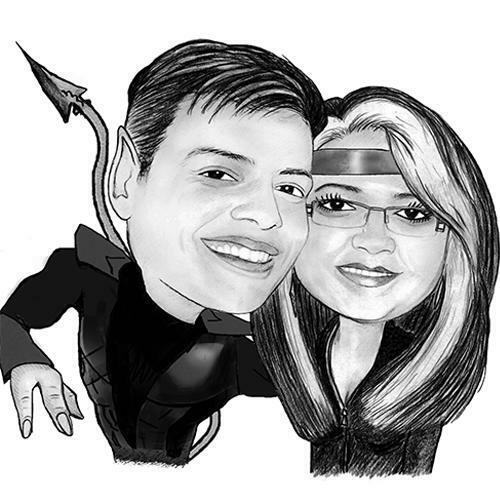 Professional drawing of funny couple cartoons and caricatures with black and white pencils. 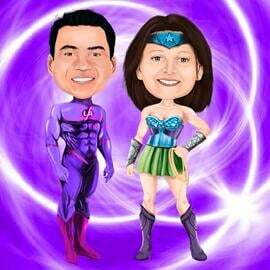 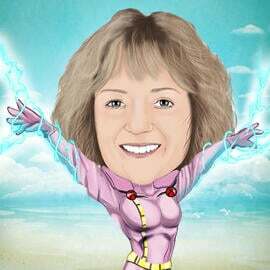 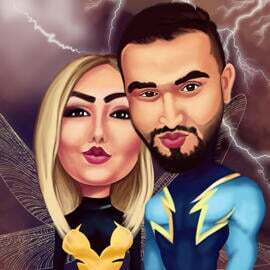 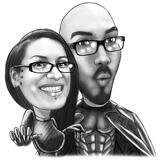 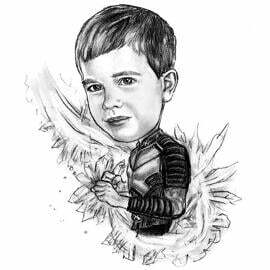 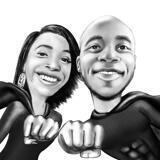 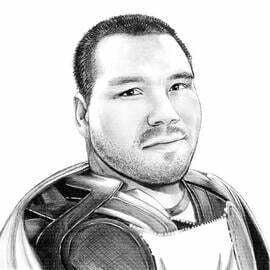 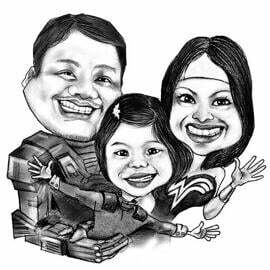 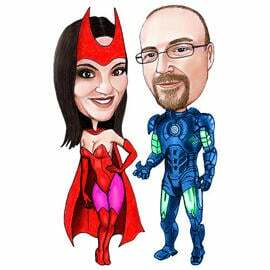 Get your personalized drawing which will be designed in Superhero theme by Photolamus. 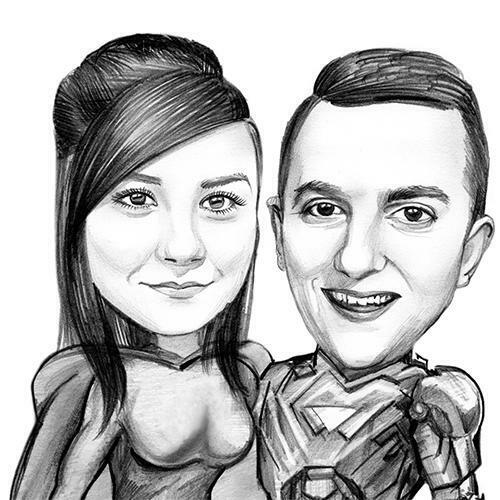 Mention any ideas regarding costume of superhero, pose or anything which is needed to be drawn and Photolamus will make it. 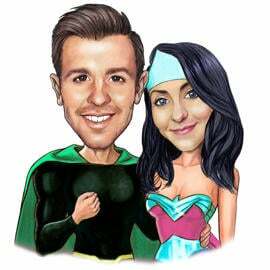 Drawing of Couple in cartoon style with pencils will be delivered as a printable JPEG File on Email. Your ready-made cartoon drawing is available for shipping in other delivery options like Canvas Print, Photo Print, Mugs, Puzzles, Pillows and any other. All products can be shipped worldwide.